At its most basic, a mortgage is simply a financial tool. It is a method for loaning money, but for a specific purpose. The mortgage’s purpose is to loan money to individuals to purchase property. There are several types of mortgages from construction and commercial loans to home loans for personal use. Many types of financial instruments are meant to make money for lenders, and mortgages are no exception. However, this type of financing isn’t often taught in school the way investment financing of stocks is. People are even taught about how to handle personal bank accounts in school, but rarely learn about the very important matter of dealing with personal loans for one of the most important purchases they’ll make, a home. Usually, when a person learns anything at all about mortgages is when they go to buy a home for the first time. Sometimes the lessons can be a shock. Too often, people who aren’t well informed before going to apply for a loan find themselves lost in the shuffle, and they do not get the best terms for their loans. Even though the term mortgage simply means to repay a personal loan used to buy real property, many times we think of a mortgage as meaning a loan to pay for the difference between the cost of a home and the amount of money we have available for a down payment. That means that if you want to buy a home for $250,000 and have $25,000 saved up to put down as a down payment, the remaining mortgage would be $225,000. 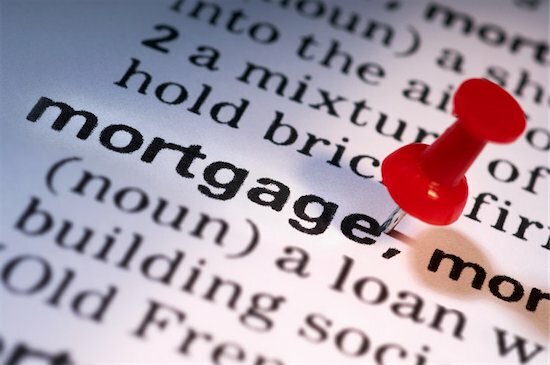 While the actual meaning of the word mortgage has nothing to do with the difference between what you have to put down and what you will owe the bank, in either way of thinking, it simply means a home loan to purchase property for personal use. There are different terms for personal mortgages as well. The most common terms deal with the amount of time allowed to repay the loan. Typically, personal mortgages have 30, 20 or 15 year terms. Another type of term for a mortgage is how much money is required as a down payment. Lenders often want as much as possible, but there are ways to reduce the requirements, such as applying for a loan backed by the FHA, Federal Housing Authority. Depending on the lender and type of loan, some mortgages also require property appraisals before approval. No matter what the differences in terms may be, there is one thing all mortgages have in common: interest. The way a lender makes money on a loan is by charging interest that accumulates over the life of the loan. The interest on a home loan is known as the mortgage rate. The amount on each individual loan can vary greatly depending on several factors including: economic atmosphere and the borrower’s credit history. The first number you need to know is the average lending rate for mortgages. This is the base rate that is set by the economic factors at work at the current time and can change at any moment. Make sure you know what the current lending rate is before applying for a loan. Getting a lending rate at the lowest possible level is important. It will determine how expensive it is to borrow the money you need for your home over a long period of time. Even as little as a 25% difference can mean thousands of dollars over the course of a 15 year loan. When rates are low is a good time to approach a lender and apply for a loan. Getting a loan “locked in” while you find the home you want is a good idea when rates are low, because you can hold the interest rate for a given period of time even if it goes up while you are looking. Rates can be locked for 30 to 60 days typically. Getting the lowest possible rate, even when the average is low depends a lot on your own credit. The better your credit score, the better the interest rate will be. It will not be less than the average the economy allows, but a good score will keep it from being higher than the normal rate. The reason lenders give borrowers with good scores the best possible rates is their history shows they are good risks for paying back the money they borrow. Bad credit scores carry a high risk of default, and the lender will be left holding a large note with no payments. Not only do they lose the interest, but the actual value of the loan as well. Credit rates that have the most impact are slow payments or missing payments and over extension on credit. Conventional loans from lenders have the highest interest rates. Buyers can find better rates by checking out FHA, VA and even USDA which are special for rural properties. VA loans are provided for members of the military and their families. The lending rates are as much as 37% lower on a VA loan than on a conventional loan. The FHA also has much better rates than conventional loans, and borrowers can get a loan at 25% lower interest than a standard loan. The FHA, VA and USDA have better guidelines to help people with less than perfect credit scores and other issues preventing them from getting a standard mortgage as well. Applying for a mortgage can be nerve wracking. It is even more worrisome if you aren’t prepared for the process. Even though the process is different from one lender to another, there are some things that are always the same. You will need to answer standard questions about yourself such as where you live, how much you earn, how long you have worked at your present place of employment. You will also need to give the lender permission to access your credit history. It helps if you come prepared with the usual documents required. Your lender will need to have supporting documents for your income which you can give with your tax reports, you’ll need to show income with your pay stubs, and provide a copy of your driver’s license or other identification. Loans can take about 30 days to be approved. If you are looking for a home with a lot of competition, and need to close faster, ask the lender if a quicker approval period is possible.